Where do employee apps fit in your digital workplace strategy? The question comes up frequently as companies create plans to deliver mobile access for employee communications. 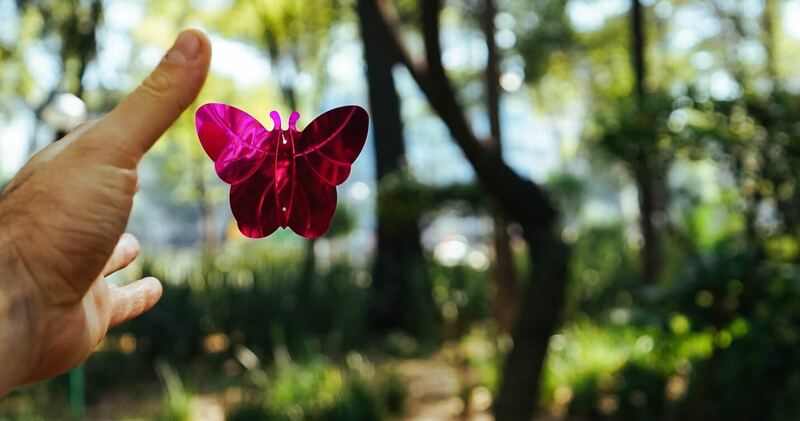 Within a few years virtual and augmented reality are going to be considered with every piece of content that is produced, Anthony Kane, senior digital marketer with 1SEO Digital Agency told CMSWire. Someone once said about Halloween: "It's said that All Hallows' Eve is one of the nights when the veil between the worlds is thin - and whether you believe in such things or not, those roaming spirits probably believe in you, or at least acknowledge your existence, considering that it used to be their own. Even the air feels different on Halloween, autumn-crisp and bright." Well if the air feels different today for chief marketing officers, CMOs to me and you, these may be the reason. Consumers, in case you didn't know, like to use more than one channel before making a purchase - most notably among these channels? Mobile and social media. And it appears the latter and the integration thereof remains problematic for CMOs. According to the most recent CMO Survey, marketing leaders continue to struggle when it comes to integrating customer information, better known as data, across channels including social media. The question is why? Why this prolonged futility? Could it be these same marketing leaders are not using the correct martech? Could also explain why that since 2014 nearly 50% of these same marketers are unable to show the impact of social media on their business. That is mind-blowing. Here's something you should already know: Marketing leaders need to eliminate data silos and create a single source of truth. And they need a 360-degree view of customers to reliably and efficiently target the right message, to the right person at the right time. I am a huge proponent of IoT from both a marketing and a consumer perspective. The possibilities from the former are endless but the concerns from the latter are real. Very real. As you can clearly see many consumers around the world are concerned about their data and hacking when it comes to IoT. "Interestingly, the survey also found that awareness about security threats to internet-enabled devices actually increased with the age of respondents. For example, 72% of those ages 18 to 24 were aware that IoT devices could be targeted by hackers, but that figure rose to 80% among 45- to 54-year-olds." The bottom line is that as more and more devices get connected to the Internet the more and more brands and businesses need to up their data security game. Easier said than done for sure but if these brands and businesses want to reap all the benefits of IoT collected data they better be at the ready to guard it with their lives. Their brands lives. As per another ubiquitous red and black eMarketer chart, marketers continue to struggle with personalization with lack of resources and data the top of the list. if you notice coming in at 14% are tech-related challenges. Forgive me but there's no way this percentage is correct. Whether the survey was worded poorly or for some other reason, the martech challenge is significantly higher and more than likely should be rolled up into lack of resources. The reason I am so confident lies in the numbers, AKA the over 4,000 different marketing-technology solutions on the market today. What's ironic is that with the right martech the challenge of resources - automation anyone? and data would be relieved to some extent. The right martech solution creates engagement, orchestrates experiences, connects data, and optimizes online interactions that attracts and retains ideal customers. Moreover the right solution connects cross-channel, content, and social marketing with data management and activation. Yeah it really is that simple. Much of the customer experience is broken because the marketing experience is broken. But it’s not marketing’s fault. With legacy technology, marketers only get a distorted view of the customer because data silos cannot be shared across channels. What would SAP Hybris be like without Carsten Thoma, the executive who has led the customer engagement and commerce (CEC) platform maker for the last 20 years? It's not a hypothetical question. In my opening keynote at FinCon last night I challenged the attendees to think about how their blog, podcast and video content could potentially be changing people’s lives. The post Why You’re Not in the Content Business (and Why That’s a Good Thing) appeared first on ProBlogger. The post The Slippery Truth about Grammar Checkers appeared first on Copyblogger.